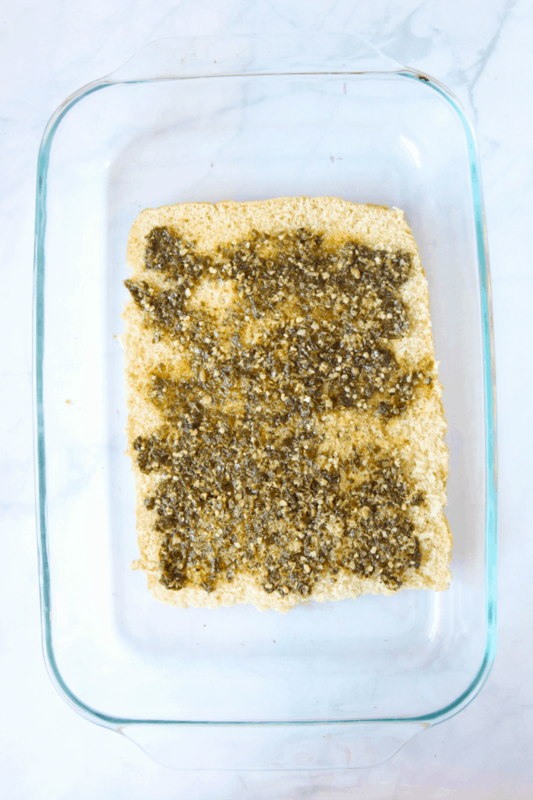 Looking for a recipe that will feed a crowd and not take your entire day cooking in the kitchen? 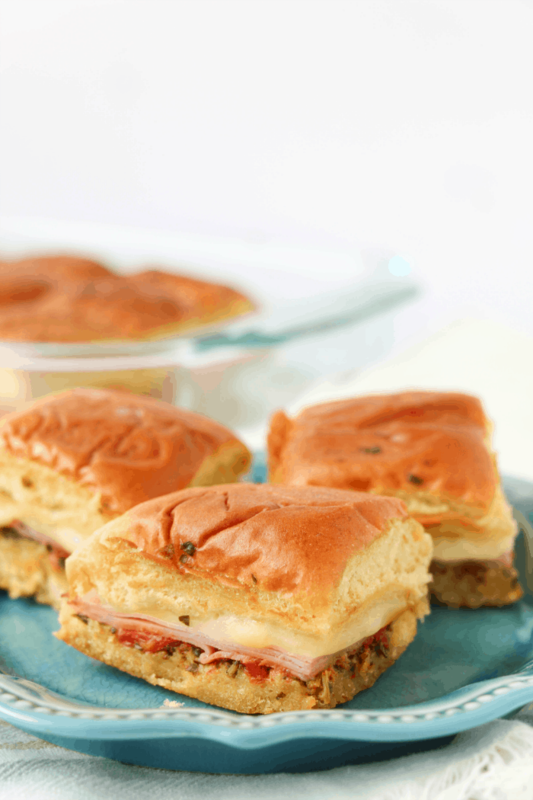 Try these Easy Pesto Ham Sliders Burger Recipe and I’m sure you will thank me later! It’s the perfect party food. 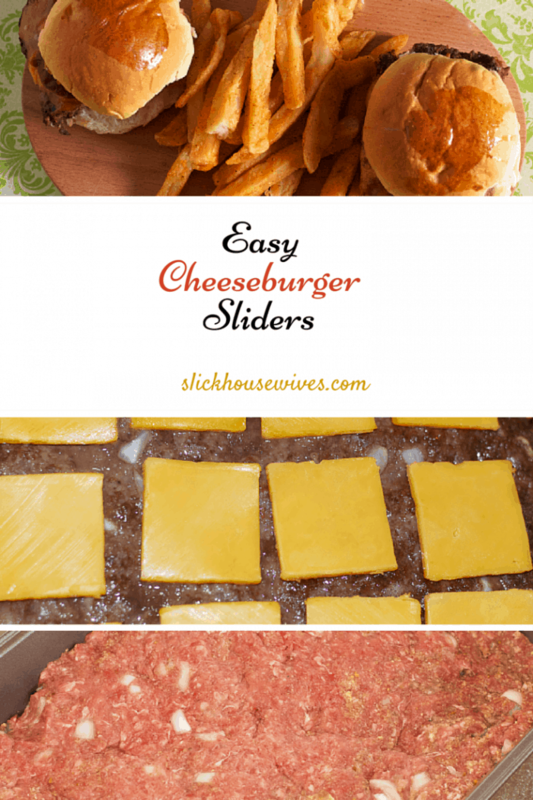 After I learned how delicious and quick these Easy Cheeseburger Sliders Recipe were to make, I knew I had to come up with other variations for the family. 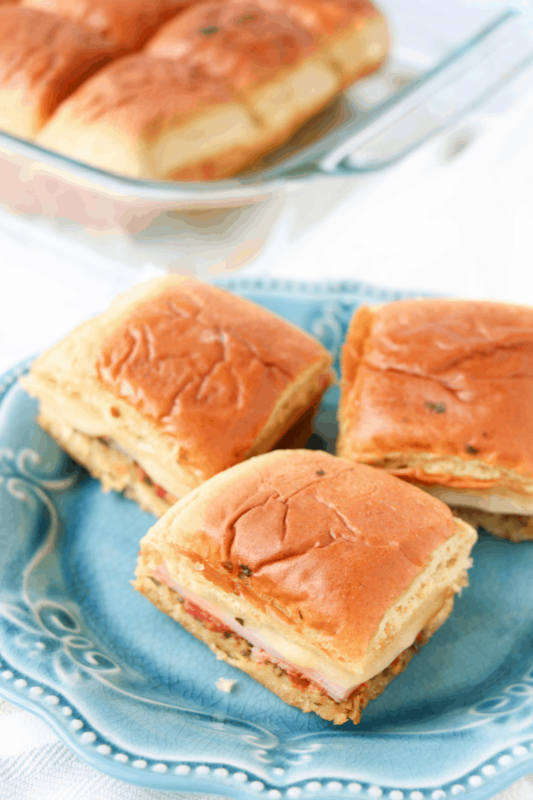 These Sliders are perfect for kids’ birthday parties, big get togethers, potlucks and more! 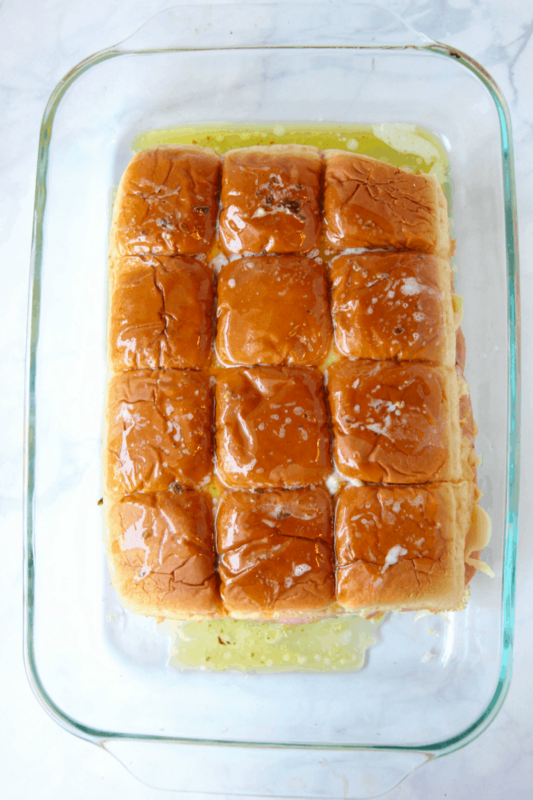 These oven-baked, pull-apart sliders are so simple and fun. 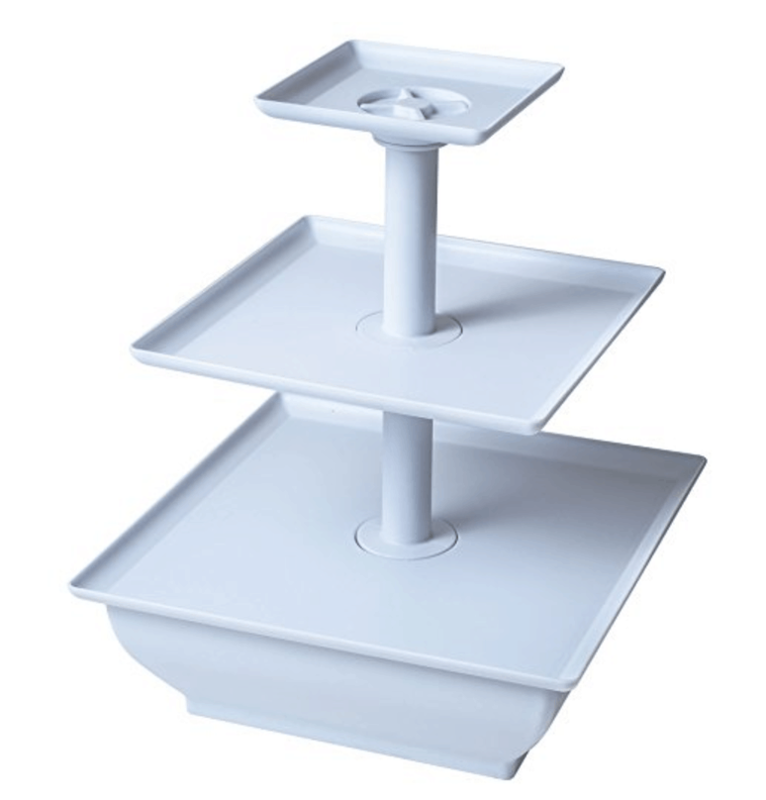 You can make them ahead of time and bake them the day of your event. 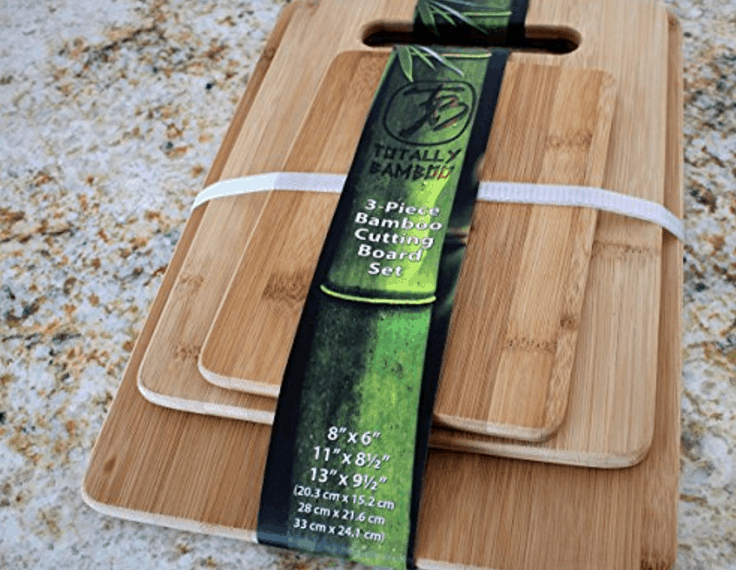 **Please note: Printable recipe card at bottom of post. 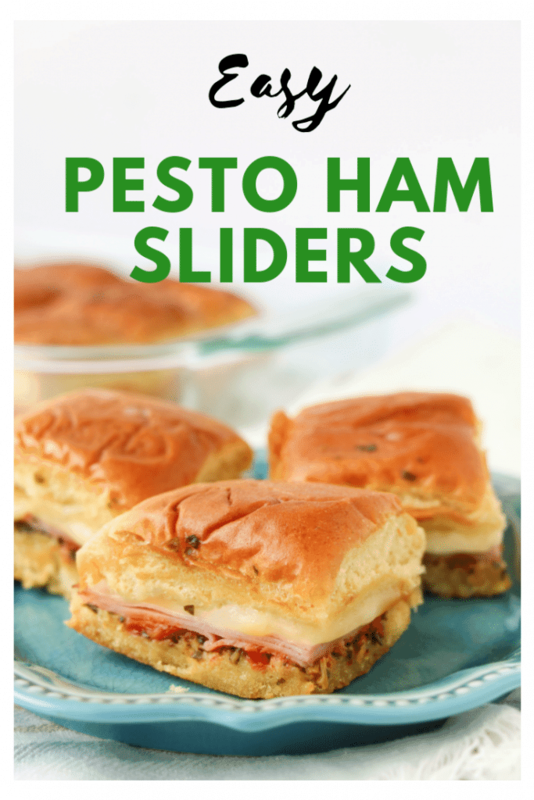 Here is what you will do to make these DELISH Easy Pesto Ham Sliders Burger Recipe! 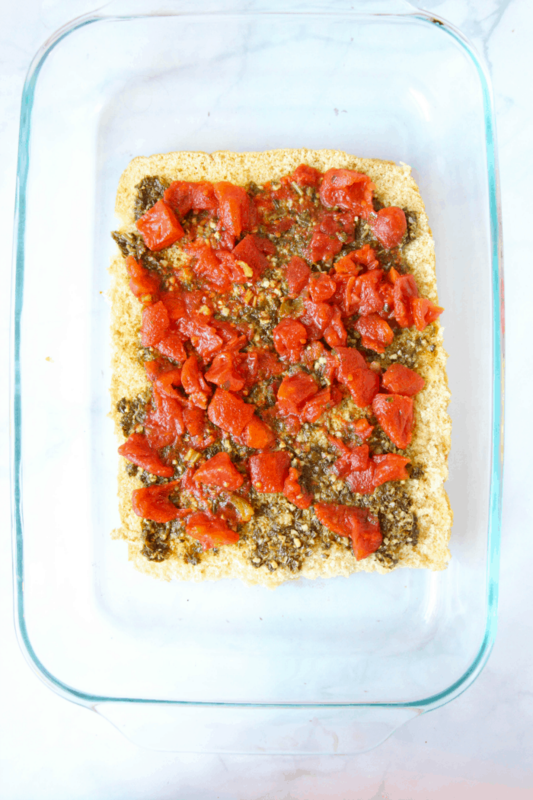 Spread the pesto sauce over the bread layer, saving 1 Tablespoon for later. Make an even layer over the tomatoes with the ham. Top with the shredded mozzarella and then place the top half of the sandwich “sheet” on top. 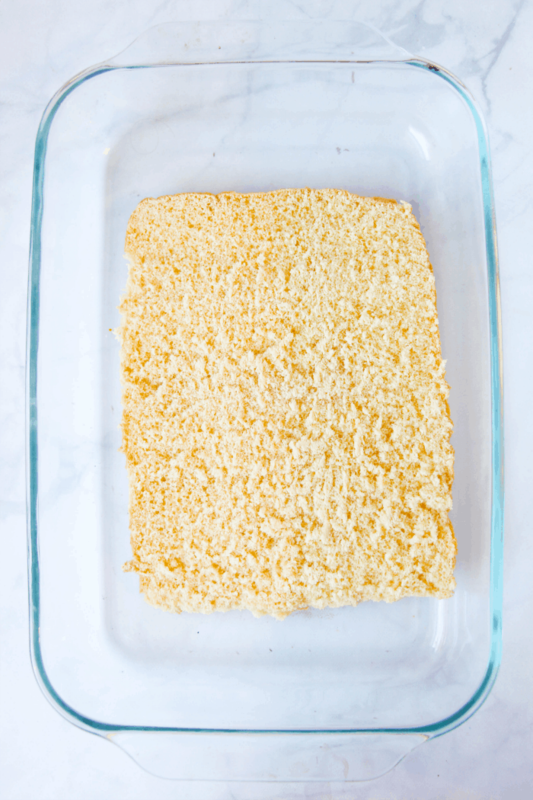 Place the butter in a saucepan over medium heat and melt, approximately 2 minutes. Stir in about a tablespoon of pesto until fully incorporated. 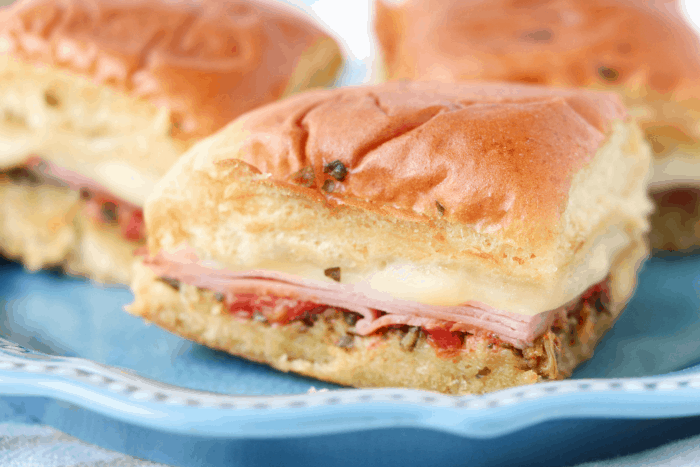 If you like these Easy Pesto Ham Sliders Burger Recipe be sure to check out our Easy Cheeseburger Sliders Recipe! 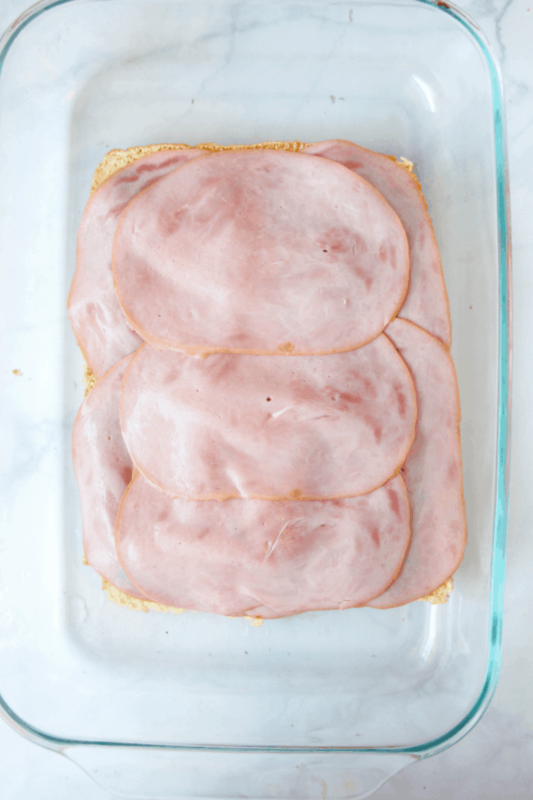 Cut the sandwich sheet in half through the middle to create two "slices" of sandwich sheet. 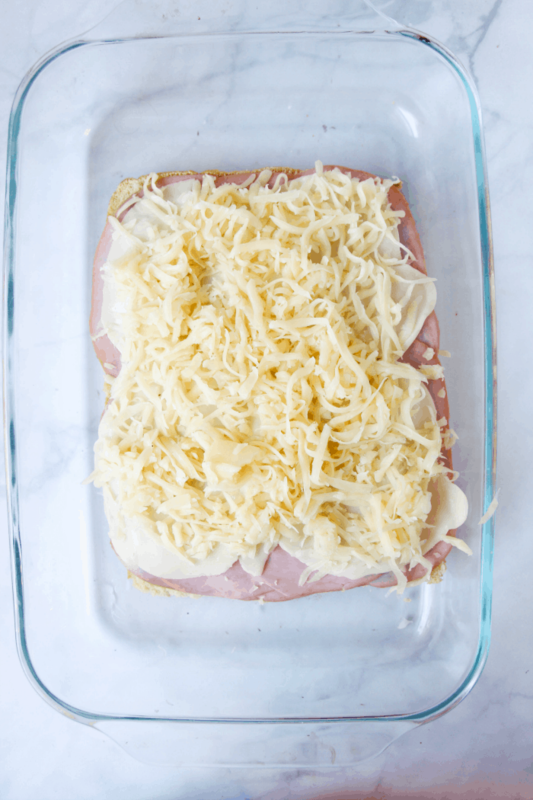 Make an even layer of the ham all over the sauce layer. Top with the shredded mozzarella and then place the top half of the sandwich "sheet" on top. Do you have a favorite Slider Burger Recipe?